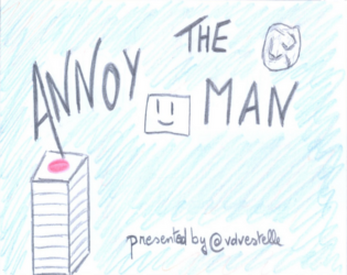 "Annoy The Man" is a simple 2D shooter. The player must throw a bullet of paper on a character, the aim is to make a max score. I wanted to have a cute graphic universe, made with paper, and a simple gameplay 'cause I'm a beginner with code. You can move with left and right arrow. And you can shoot with space.